I’m back from Peru! I’m organizing my writing and photos from the trip. 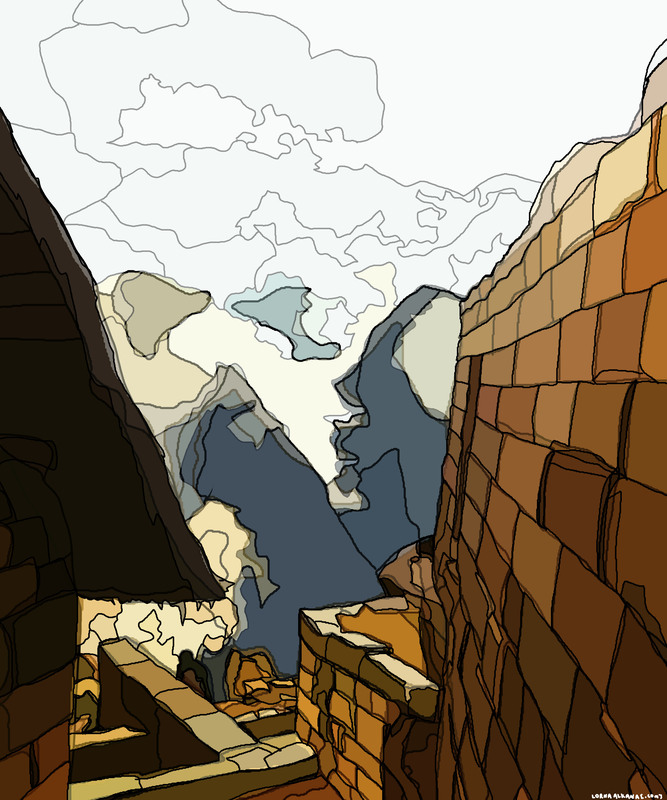 Until I have a plan of attack on how to tell stories from my adventure… here’s a drawing of Machu Picchu! intriguing… tell us about your piece and this place. Great drawing! Looking forward to seeing more! Like your drawing! Always wanted to go to Machu Picchu, was certain something spiritual would happen to me there. Eager to hear about your experience! Did you draw this on the computer or by hand? I drew it by hand on the computer! 🙂 I have a tablet! Cool! Makes me think of the Pablo Neruda poem. oh, cool. I have a hand and pencils 🙂 I don’t like to draw with a tablet, tried it, wasn’t nice for me.